The German inverter manufacturer reports that shipments remained stable in the first half of this year, while revenues were down year-over-year. The company has raised its outlook for 2017. In the first six months of 2017, SMA Solar Technology AG has shipped around 3.8 GW of devices, slightly down from the 3.9 GW it shipped in the first half of last year. The company’s revenue decreased year-on-year by around $120 million to $450 million, due to “the overall price fall in all segments and regions”. EBITDA decreased from $84 million in the first six months of 2016 to $34 million in the same period of this year. EBIT dropped in similar proportions by 55% to $10 million. “After a moderate start to the year, SMA increased its sales by 20% in the second quarter of 2017 as against the first three months of the year. We saw a favorable increase in all key segments, particularly in the Asia-Pacific region (APAC). For the second half of the year, we expect the business to significantly pick up again, based on strong incoming orders in all markets,” commented the company’s CEO Pierre-Pascal Urbon. In the first six months of this year, the inverter manufacturer has achieved a balanced distribution of its turnover by both regions and segments. A clear growth, however, was registered in the Asian markets. The company also said its segments for commercial PV and storage applications enjoyed a positive performance. Looking forward, the company release an optimistic outlook. “In the medium term, we anticipate exponential growth in the storage application segment,” added Urbon. 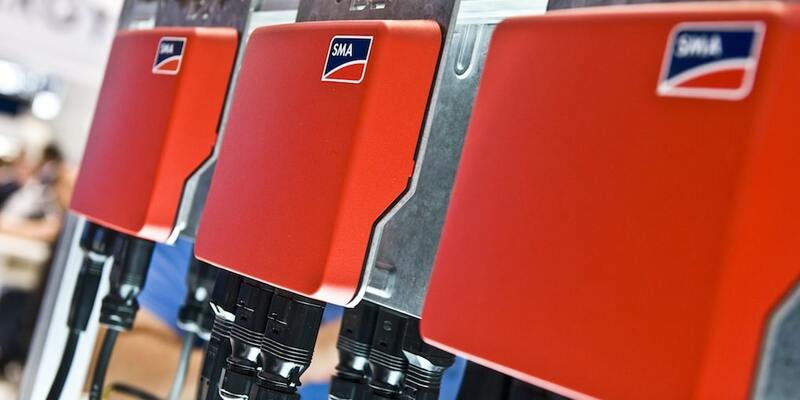 SMA has an order backlog of $790 million, of which $330 million is attributable to the product business. The company expects to register revenue in the amount of $1.1 billion over the course of its full fiscal year 2017, while EBITDA is expected to range between $100 – $120 million.